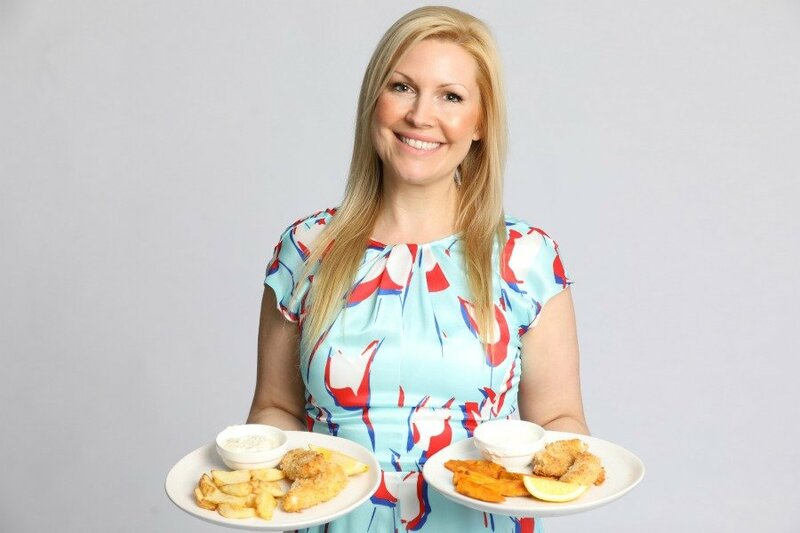 As a busy mum of two, I know how easy it can be to go overboard with your daily calorie requirements! You think you’re being healthy and making great 28 Day Weight Loss Challenge meals but the weight isn’t shifting. 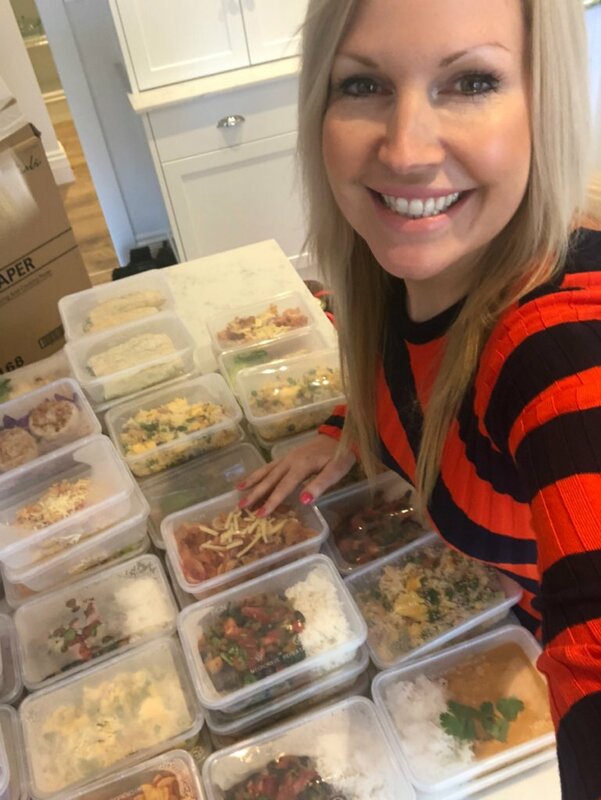 At The Healthy Mummy we 100% focus on education around health and weight loss and I really wanted to show how by following our healthy recipes and meal plans can significantly reduce your calorie intake – WITHOUT compromising on taste. So today, I’m going to show you how just a few SMALL changes can overhaul your meals and further your weight loss! When it comes to making meals and you’re trying your best to make everyone in the family happy, sometimes you may not realise the portions are too large or you use ingredients that could be swapped with healthier options. 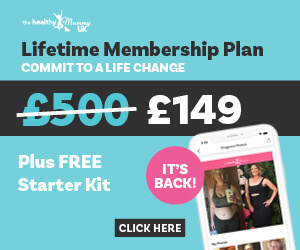 Small changes like this that mums can do can really change the nutritional details and calories in the meals you’re eating, and can give you more of an opportunity to enable you to reach your weight loss goals. This is where our 28 Day Weight Loss Challenge comes in hand. Healthy, nutritionally planned and portioned meals from the 28 Day Weight Loss Challenge ensure you’re on track with your energy requirements, vitamins and minerals to reach your goals. 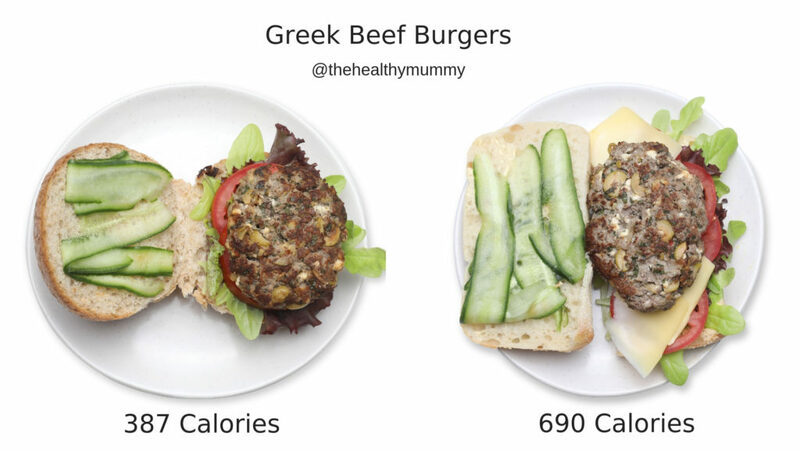 Below I have laid out 7 comparisons of Healthy Mummy 28 Day Challenge meals versus the same meal made with different ingredients and quantities – so you can see how SMALL changes can make a HUGE difference! 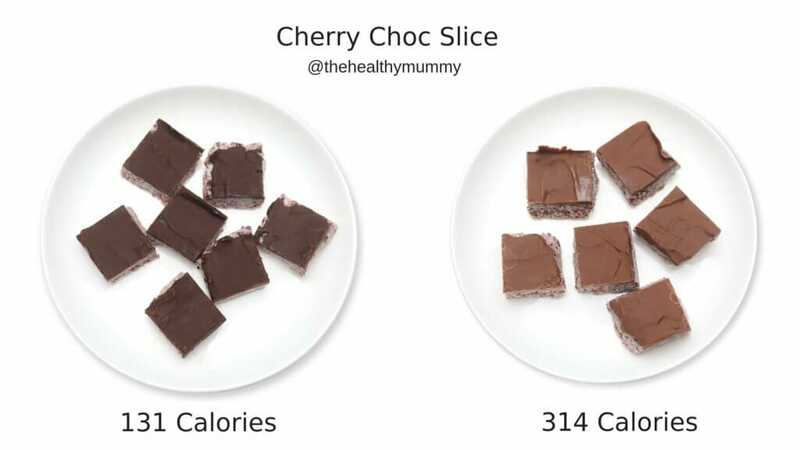 These recipes may look very similar but look closely and then see the difference in calories, you’ll be blown away at how easy it actually is to increase your calories without even realising. All of these recipes are from the 28 Day Weight Loss Challenge and the recipe hub so you can easily make for you and your family. 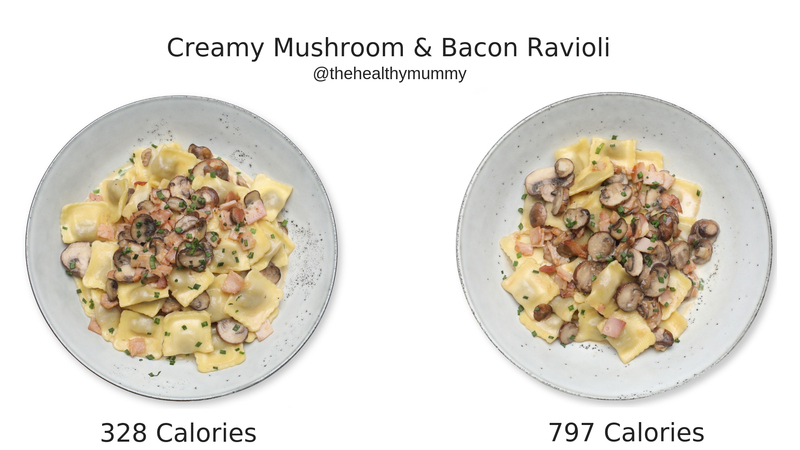 How did the calories increase on the 623 calorie serve? How did the calories increase on the 797 calorie serve? How did the calories increase on the 690 calorie serve? How did the calories increase on the 932 calorie serve? Preheat the oven to 180C / gas mark 4. Finely dice the onion, grate the carrot, finely chop the red pepper, drain and rinse the kidney beans and grate the cheese. Sauté diced onion for a couple of minutes, then add 1 tablespoon water (this takes away the need for any added oil) and cook until the onion is soft and translucent, and water has evaporated. Increase the heat to high and add the mince. Cook, stirring, until there are no lumps and mince is brown. Add grated carrot, chopped peppers, red kidney beans, diced tomatoes and taco seasoning. Stir and then simmer for 10-15 minutes until mixture has thickened. Lightly spray an oven safe dish with cooking spray. Layer the dish with a tortilla, then some of the meat mixture, and continue layering until you’ve used up all the tortillas and meat mixture, finish with a tortilla on top. Spread over sour cream and sprinkle the cheese over the top. Cook for 30-40 minutes, or until golden brown. 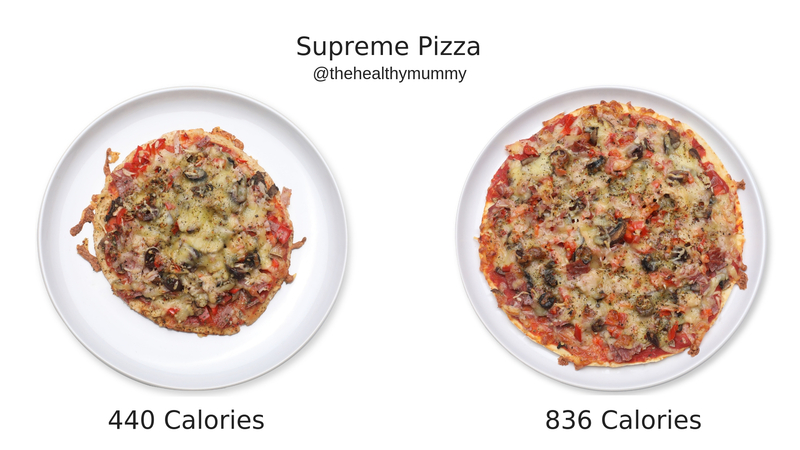 How did the calories increase on the 836 calorie serve? 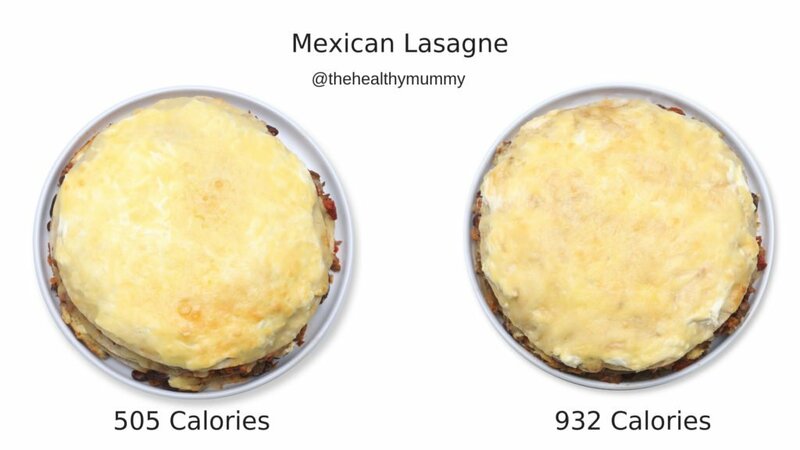 How did the calories increase on the 314 calorie serve? If using frozen cherries, allow them to defrost and drain off any excess moisture. Pit cherries before use. Place all ingredients except the chocolate and coconut flour into a food processor and blitz until well combined. Some small lumps of cherry are fine and add to the texture of the slice. Line a loaf pan with baking paper and spoon mixture in, smoothing it with a spatula or back of a spoon. Put the pan in the fridge while you melt the chocolate. Break the chocolate into small pieces and melt in a small bowl or jug over a saucepan of boiling water, stirring occasionally. Once it is completely melted, pour the chocolate over the cherry mixture and tilt the pan to get a thin, even coat of chocolate. Return the pan to the fridge for at least 4 hours. When ready, dust a chopping board liberally with the coconut flour, and place the slice onto the board. This will give it a slightly cakey base. Cut the slice with a hot knife into 10 equal pieces. 1 piece is 1 serve. Leftovers can be stored in an airtight container in the fridge for up to 2 weeks or freeze for up to 3 months. How did the calories increase on the 217 calorie serve? Peel and chop mango (use frozen if you can’t get a fresh one). Add all ingredients in a blender or food processor and puree until smooth. Pour mix into 6 ice lolly moulds and freeze overnight until firm. 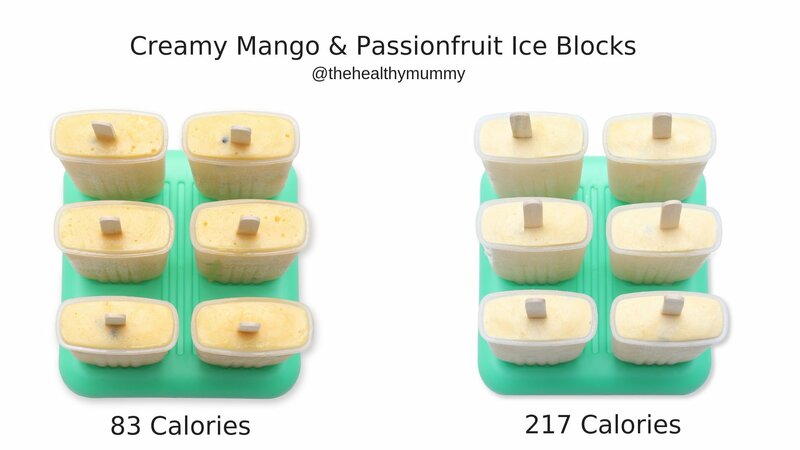 1 ice lolly is 1 serve. 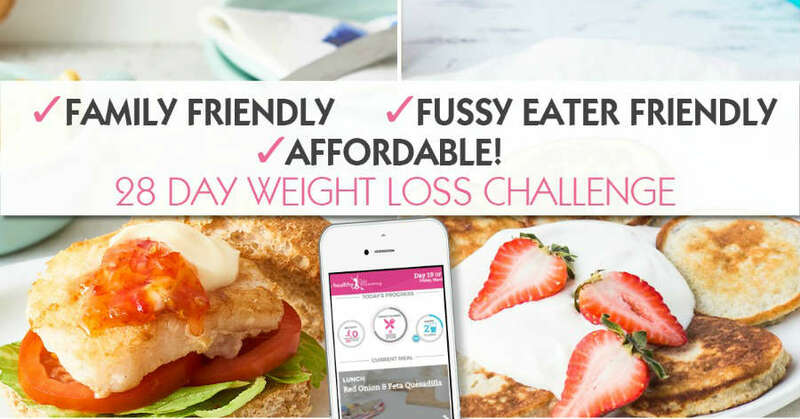 To access all The Healthy Mummy recipes – we have over 4,000 recipes – take part in the 28 Day Weight Loss Challenge here – which is used by 100,000’s of mums EVERY DAY!! 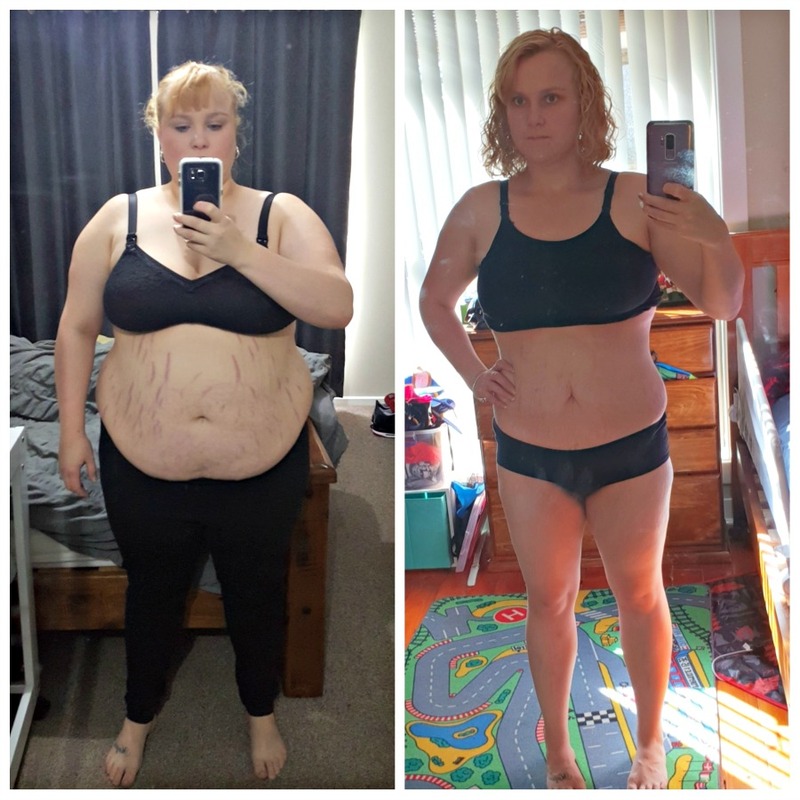 Amy has gone on to lose 5 stone! 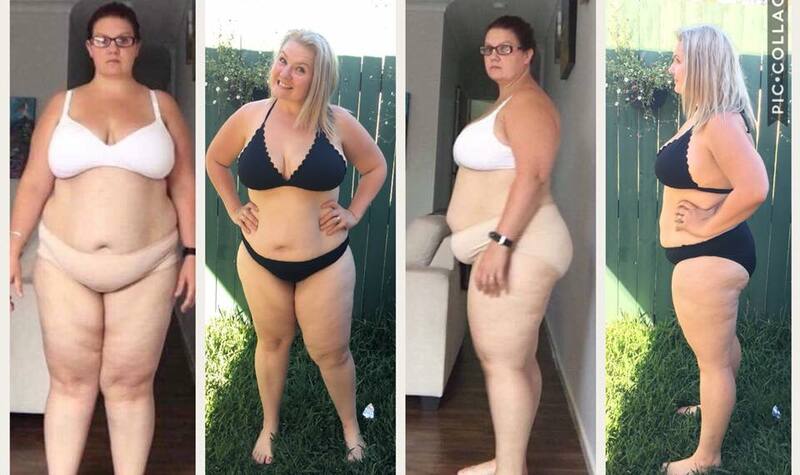 Starting at 15 stone, she now weighs just over 9 stone, something she hasn’t weighed since she was 10 years old she says. With The Healthy Mummy they have really simplified it for me, made it easy for busy people like me. I’m forever in awe of the APP on my device that literally changed my mind and thinking”. 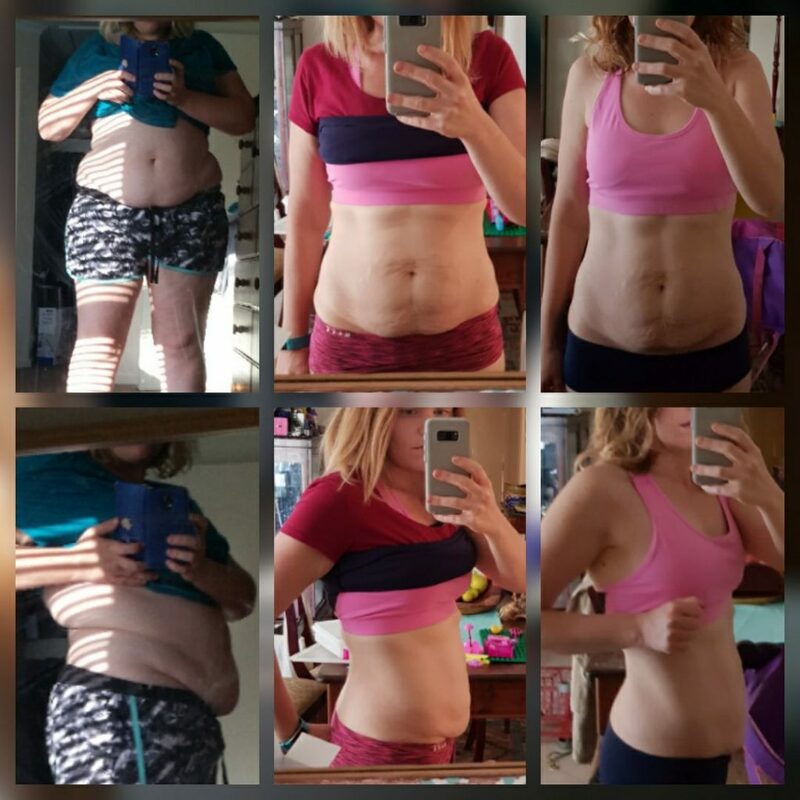 Kerrie has lost 2.6 stone and dropped 3 dress sizes (from 14-16 to 8) by following The Healthy Mummy 28 Day Weight Loss Challenges and exercises on the App as well as including The Healthy Mummy Smoothies in her diet. 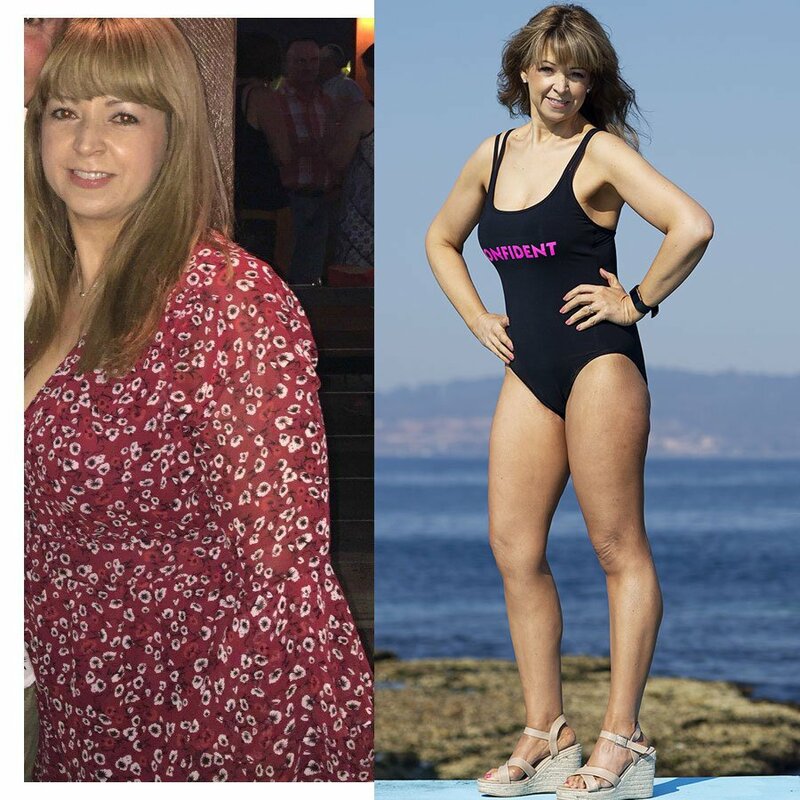 “I am now lighter, smaller, healthier and fitter than I was in my 20’s and 30’s,” says 48-year-old old mum of two, Kerrie O’Brien. Feeling fabulous at 48, Kerrie says she is looking forward to confidently wearing a swimsuit this summer for the first time in 10 years. Something she admits she never thought she would say!